Located in Broadbeach, ULTIQA Beach Haven At Broadbeach is on the Strip, a 4-minute walk from Kurrawa Beach and 11 minutes by foot from The Star Gold Coast. 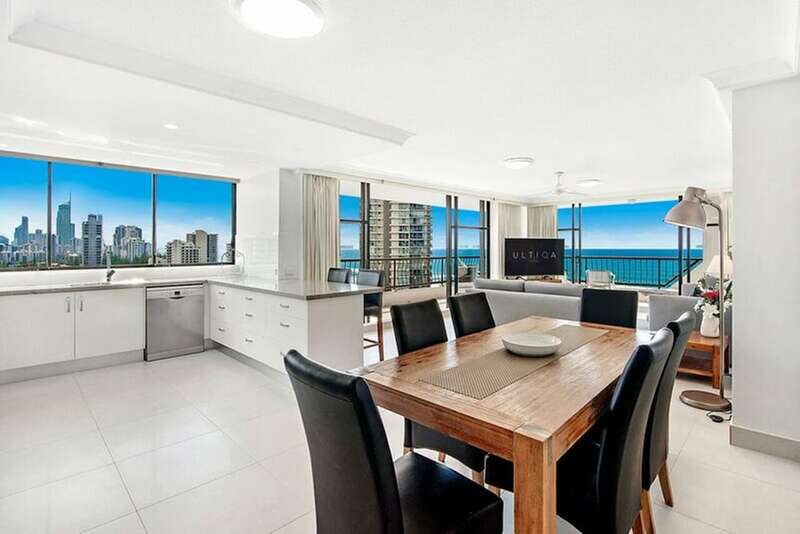 This 4-star apartment is 0.4 mi (0.6 km) from Gold Coast Convention and Exhibition Centre and 0.7 mi (1.1 km) from Surfers Paradise Beach. Make yourself at home in one of the 97 individually decorated guestrooms, featuring kitchens with full-sized refrigerators/freezers and ovens. Rooms have private balconies. Complimentary wireless Internet access keeps you connected, and cable programming is available for your entertainment. Conveniences include phones, as well as microwaves and electric kettles. Dip into one of the 2 outdoor swimming pools or enjoy other recreational amenities including outdoor tennis courts and a steam room. This apartment also features complimentary wireless Internet access, tour/ticket assistance, and barbecue grills. Featured amenities include luggage storage, laundry facilities, and an elevator (lift). Free self parking is available onsite. ULTIQA Beach Haven At Broadbeach features 2 outdoor swimming pools, outdoor tennis courts, an indoor pool, and a spa tub. Public areas are equipped with complimentary wireless Internet access. This beach apartment also offers a children's pool, a steam room, and tour/ticket assistance. Onsite self parking is complimentary. ULTIQA Beach Haven At Broadbeach is a smoke-free property. 2 outdoor swimming pools are on site along with an indoor pool. In addition to a children's pool, other recreational amenities include outdoor tennis courts, a spa tub, and a steam room. This property accepts cash only or credit cards only for all onsite purchases, including incidentals. Debit card is not accepted. For more details, please contact the property using the information on the reservation confirmation received after booking. Guests dial 9 on the intercom at the front door and the operator will provide instructions for collecting keys. For more details, please contact the property using the information on the reservation confirmation received after booking. Rollaway/extra beds are available for AUD 35.0 per day. Cribs (infant beds) are available for AUD 9.0 per night.